Considering the historical background of space militarization and providing an overview of the United States' efforts to militarily dominate space since the dawn of the space age, this book argues that America must either ensure that space-related weapons are verifiably banned for all nations through an international treaty or definitively choose a policy of unilateral space dominance that may lead to an arms race in space and possibly to another cold war. 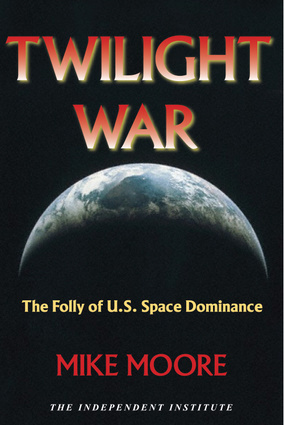 Through a careful discussion of the history of space programs, their impact on past policies and events, the tactical and strategic influence of space weapons on the engagement of war, and the potential pitfalls of a dominance strategy, this book concludes that unilateral military dominance of space by the United States would be a supreme mistake and that it would make Americans less secure. Mike Moore, who retired as editor of The Bulletin of the Atomic Scientists in 2000, is a research fellow with The Independent Institute of Oakland, California. He is the author of many articles on national security, conflict resolution, nuclear weapons and nuclear proliferation, and military space issues. Previously, he had been the editor of Quill, the magazine of the Society of Professional Journalists, and an editor and reporter for the Milwaukee Journal, Chicago Tribune, Chicago Daily News, and the Kansas City Star. In 2002-3, he was a member of three national task force/study groups that examined military space policy and national-security issues.